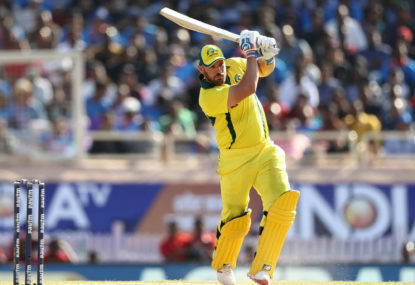 While Australia continue their World Cup preparations next week with a five-match ODI series in the UAE, banned superstars Steve Smith and David Warner will be returning to elite cricket in the Indian Premier League. 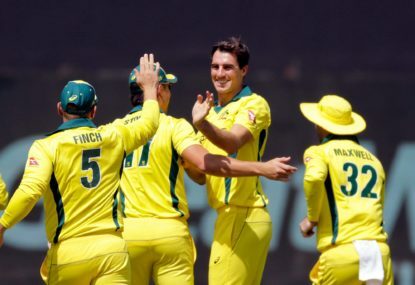 With Mitchell Starc and Josh Hazlewood unavailable for next week’s ODI series against Pakistan, Australia’s pace pecking order is being muddied by impressive displays from Pat Cummins and Jhye Richardson. Yep but as I said since he returned to the ODI team last year Lyon has averaged 0.75 wickets per match, which is half of what you expect from a specialist bowler. Realistically he will barely be needed anyway because Australia love the quicks and won’t play two spinners unless they encounter an obviously dry, spinning track and I can’t imagine there will be many of those in England. Picking 7 specialist bowlers is a farce. It just makes zero sense. I’ll get into that tomorrow. For me, Lyon just doesn’t take enough wickets for a specialist bowler who is a number 11 batsman. Since he returned to ODIs last year he has played 12 matches and taken just 9 wickets at 62. His economy rate has been excellent at 4.8 but a specialist bowler who is a number 11 batsman in ODIs needs to pose some kind of wicket taking threat and Lyon doesn’t. 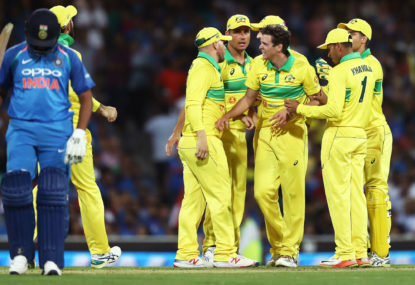 A specialist spinner’s role in ODIs is to take wickets through the middle overs when the opposition is trying to keep wickets in hand to go beserk in the final 15 overs. I’d rather my ODI spinner take 2-60 from their 10 overs than take 0-45. The holding, defensive role for a spinner is best performed by an all-rounder like Moeen or Jadeja. I think Lyon is only there because Agar got injured in early January and so was unavailable for their next two ODI series at least. 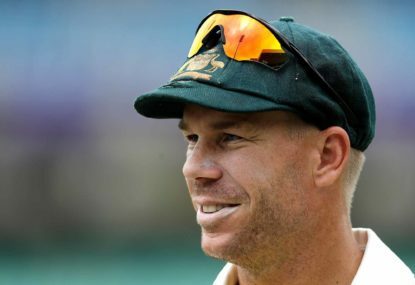 Smith and Warner are playing in the IPL against most of the best white ball bowlers in the world. 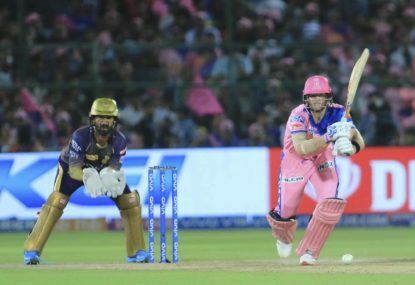 Smith has played a couple of scratchy knocks in the IPL since I wrote this, still not looking near his best yet, even if there have been some good signs so far in the tournament. 1-36 from 20 overs is a fantastic return from Maxwell as a 5th bowler. He’s such an underutilised bowler in all three formats. Agreed Bob I think CA have really done well with the preparation for this Ashes tour, particularly when you consider the disruption to the lead up provided by the World Cup. 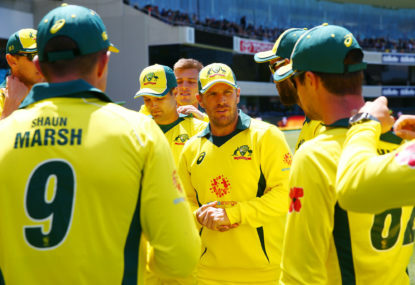 But the end of that third Australia A match when the selectors sit down to pick the Ashes squad they should have a clear picture of who is ready to play in the 1st Test. 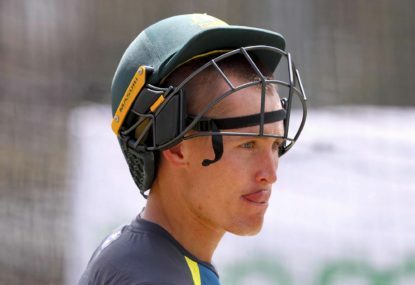 Labuschagne’s ton overnight might have been in county Div. 2 but it did come against Windies captain Jason Holder who is in blazing form having averaged 21 with the ball in his last 15 Tests. 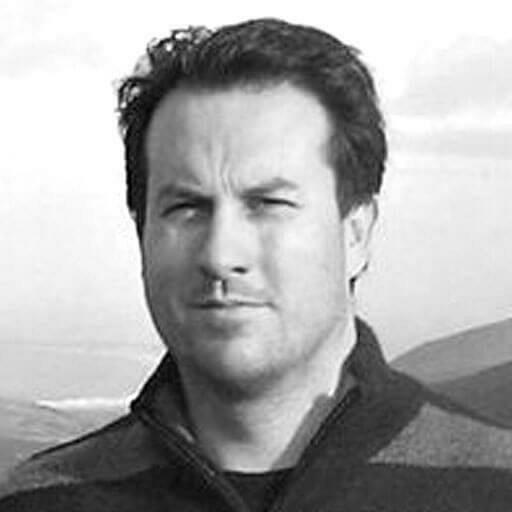 Exactly, Australia will only play one spinner in the Australia “A” team and that is very unlikely to be Zampa given he’s averaged 51 with the ball over the past two Shield seasons and 5 other spinners – Lyon, Agar, Holland, O’Keefe and Swepson – have been picked ahead of him in Test squads over the past 2 years. My personal opinion is that Zampa’s bowling style is good for white ball cricket but really poorly suited to first-class cricket, which is also reflected in his stats. His strength as a white ball bowler is the way he skids on to the batsmen and cramps them for room. 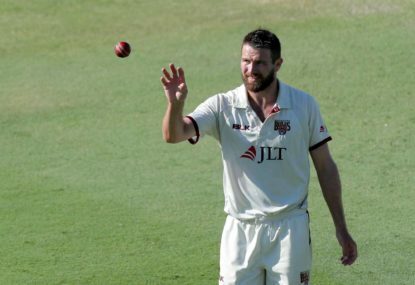 In first-class cricket he bowls in a similar manner but, without pressure on the batsmen to score at a fast rate, this approach isn’t effective. 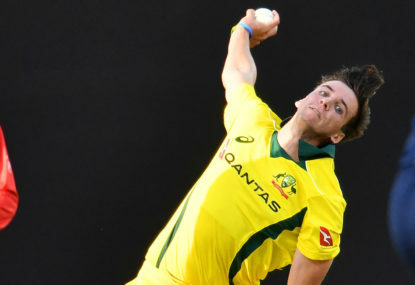 In first-class cricket leg spinners need to be able to regularly beat batsmen through the air with loop, sharp dip and drift – those three things are not strengths of Zampa’s. On a traditional English green seamer then Siddle is a must, with Starc dropping out. On those type of decks you want your most accurate bowlers, to make the most of the friendly conditions, and Siddle has 150 first-class wickets in England he knows the conditions better than any other Aussie quick. The fact Zampa’s averaged 51 across the past two Shield seasons. Nev it should be Pattinson instead of Maxwell in that list of likely Australia “A” players. Dave the ODI conditions in England are more batting friendly than those in India or the UAE so I’m not concerned about Khawaja’s ability to score there. But I do agree his run rate could be lifted, and it could be done easily and with minimal risk just by Khawaja looking for more singles. 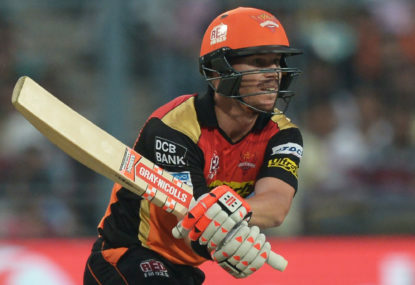 Between them Warner and Smith have made 508 runs at 73 so far in this IPL. 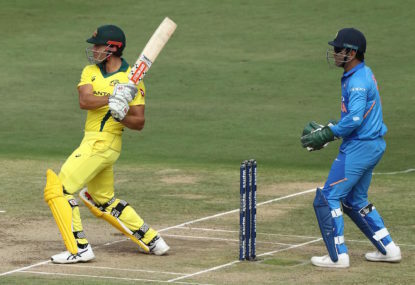 That’s very harsh Dave, Khawaja also dominated against India with nearly 500 runs at 62 this year – facing the world’s best ODI quick (Bumrah) and the world’s best ODI spinner (Kuldeep). 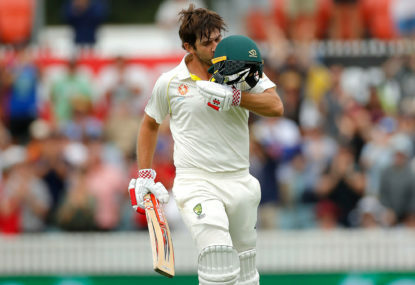 Stoinis is the biggest worry for Australia at the moment. 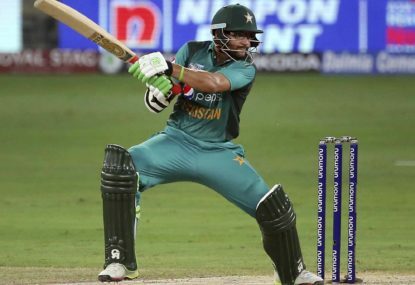 His bowling has always been ordinary but now he’s really struggling with the bat too – in his last 20 ODIs he has averaged 24 with the bat at a scoring rate of just 4.9 runs per over. 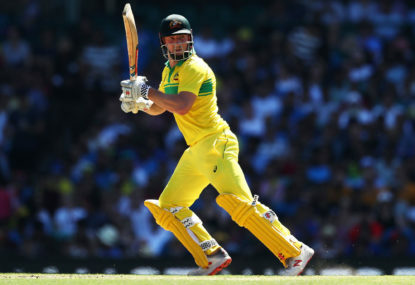 It’s very hard to predict exactly where Smith will fit in to Australia’s WC lineup but his record at 3 in ODIs is amazing and I think he is at his best when given as much time as possible to settle into an ODI innings. I have little doubt Warner could do a good job batting at 4 because of how comfortable he is against spin and how well he runs between wickets and rotates the strike. James it’s worth noting that Smith scored at 7.5 runs per over while Buttler/Stokes combined faced 48 balls for Rajasthan while scoring at only 5.5 runs per over. Given how quickly both Buttler and Stokes normally score that highlights how difficult it was to score rapidly in that innings. Paul I made this very clear in the article. My argument is Australia should pick a specialist swing bowler, someone who can move the ball both ways like Anderson does. The only Aussies who can do that consistently are Richardson, Neser, Sayers and Worrall. 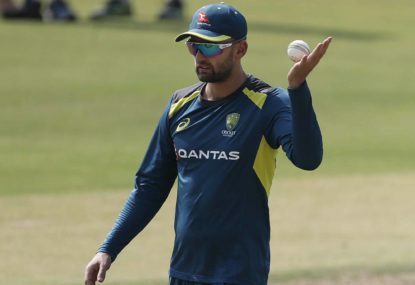 Australia are spoiled for pace options in this Ashes, they have 11 attractive options – Cummins, Hazlewood, Starc, Richardson, Pattinson, Siddle, Tremain, Bird, Neser, Mennie and Copeland are all in form and capable of exploiting English conditions. 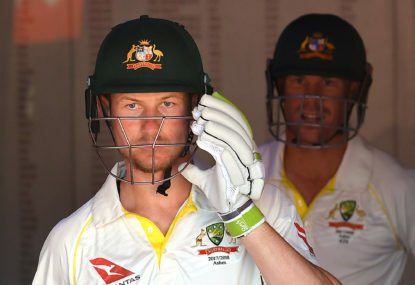 There are two Australia “A” four-day matches in England (starting July 7 and July 14) which will be finished almost a fortnight before the first Test. Before that Australia A play five one dayers in England. Sayers was very unlucky not to have got a crack at Tests years earlier, and now it seems like his time probably has passed. Cheers Dem, this is just my opinion but I actually think pressure helps rather than hinders Warner, he loves a challenge.